No movie quote better describes the current state of the Philadelphia 76ers than Gloria Clemente’s (played by Rosie Perez) take on winning and losing in White Men Can’t Jump. Though some of the players who currently reside on the Sixers roster weren’t even born when White Men Can’t Jump hit theaters in 1992, her famous quote outlines the mentality that General Manager Sam Hinkie and the rest of the 76ers brain trust has adopted. The plan, while controversial, is simple: put together an embarrassment of a roster in order to lose as many games as possible thereby increasing the 76ers chances of securing the best possible draft picks (it’s optional for the Sixers executives to watch games from their luxury suites like the villain in Inspector Gadget). Over time, this strategy should allow Philadelphia to stockpile young talent, save money, and eventually become a contender with a team comprised almost entirely of high lottery picks. So while the Sixers are losing games right now, they’re actually winning in the long run. The idea itself is fascinating and is something that other franchises have flirted with before, but never to this degree. Patience is something that’s in exceedingly short supply in professional sports, but it seems that Hinkie and enough decision makers in the Sixers organization are drinking the Kool-Aid for now. Last season, Philly was 19-63 in year one of this experiment and they secured the 3rd overall pick in the 2014 NBA Draft. While 19 wins in 82 games is a disaster for most NBA franchises, Hinkie certainly couldn’t stand for veterans like Thaddeus Young, Evan Turner, and Spencer Hawes helping the team win games. So all three veterans, who were former lottery picks, were traded away either during or after the 2013-14 season for little in return. The result? A 2014-15 Sixers roster that sports seven undrafted players compared to just eight players who were actually drafted (only four of whom were selected in the first round, and that number increases to five if you count Jason Richardson as a first round pick). For comparison’s sake, the Detroit Pistons, who currently own the second worst record in the NBA at 3-16, have just three players on their roster who are undrafted. This season, the 76ers are off to a 1-17 start as things have clearly accelerated in year two of the front office’s master plan. There’s little doubt that we’re all sick of the “could Kentucky beat the Sixers?” question, but it’s entirely possible that this team could set the mark for worst record in NBA history. But of course, that’s all part of the plan. While it’s evident that the Sixers are terrible right now, it’s also evident that they’re starting to assemble an intriguing cast of young talent. Michael Carter Williams is the reigning Rookie Of the Year, Nerlens Noel is just 20 years old and could eventually become one of the better defensive big men in the NBA, and Joel Embiid - while currently injured - has a ton of potential to become one of the best big men in the NBA if he can stay healthy. It appears that the sum of all this orchestrated losing could eventually make for a scary team down the road. 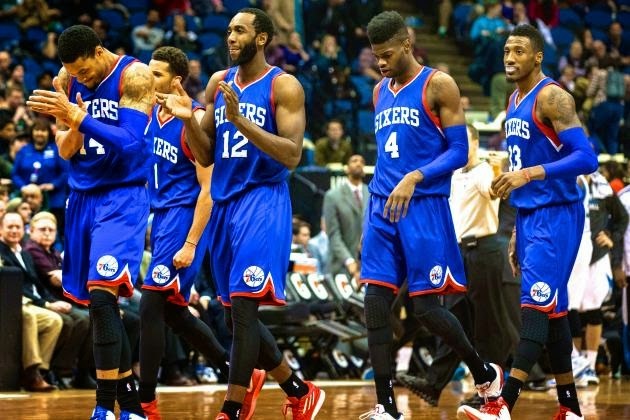 So, if the Sixers are actually winning by losing games, how could they actually lose? There’s always the possibility that the team completely whiffs with all of their lottery picks. There’s also the chance that injuries derail the careers of Noel and/or Embiid. But there’s a far more interesting way that the Sixers front office could have this entire thing blow up in their face. Simply put, in order for the 76ers plan to be realized they must have some of these high draft picks become star players, develop these star players, and eventually, re-sign these star players to long term contracts when they’ve reached their prime and their rookie contracts have expired. Though NBA rules, which allow a player’s most recent team to offer more money and guaranteed years than any other team, will give the 76ers a leg up when they’re trying to re-sign the likes of Carter-Williams, Noel, and Embiid, it doesn’t seem unfathomable that these young stars could choose to wash their hands of an organization that just dragged them through the proverbial mud for the past 4-5 years. And that’s where the human element comes into this whole equation. In the midst of losing all these games, the Sixers might be alienating more than just their beleaguered fan base. On their way to assembling a team of top five picks, they might just be alienating the very players they need to retain once their rookie contracts expire in order to see their plan come to fruition. It’s one thing to be a young player on a young team that’s losing games trying to find its way, but it’s quite another to be a young player on a team that you know was willingly assembled to lose games. Banking on these hyper competitive players in their early 20’s who have won all their lives to harbor no feelings of ill will toward a franchise that intentionally threw them to the wolves might be asking a bit too much. 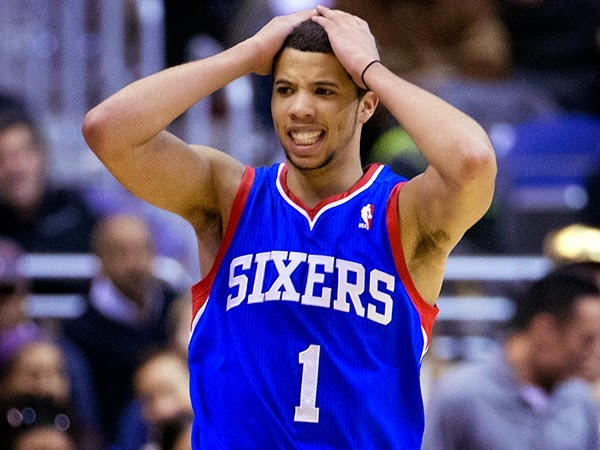 The Sixers are banking on the fact that Michael Carter Williams won’t let a few 70-loss seasons curb his passion for the game. They’re banking on the fact that Joel Embiid won’t take a little less money to play for a franchise that has a bit more respect for its fans and players. They’re banking on the fact that players who have been driven to be the best all their lives will suddenly accept being the worst for a few years and not come away feeling bitter about the whole experience. Maybe the money and the promise of better days ahead will be enough. Maybe the front office can sell their emerging young stars on the “worst to first” Hollywood redemption story. Maybe these guys won’t care that much and they’ll realize the Sixers are running their team like a business and they’ll be satisfied earning that NBA paycheck. 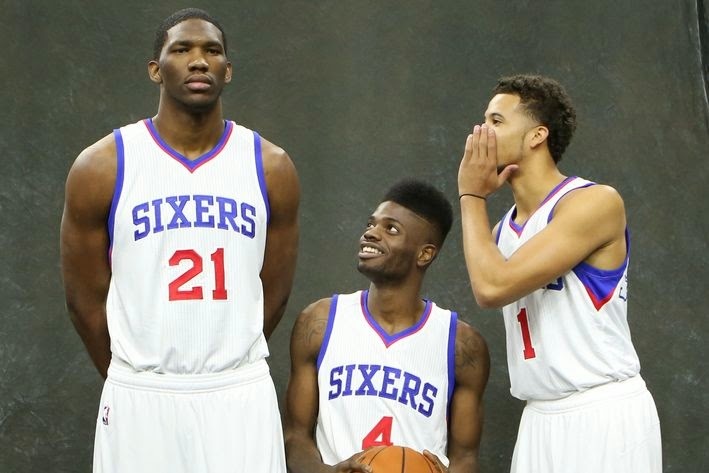 Maybe every loss and undrafted teammate the Sixers saddle on their young stars in the next few years will come back to bite the franchise. Michael Carter-Williams and Nerlens Noel will become unrestricted free agents after the 2017-18 NBA season. Joel Embiid will become an unrestricted free agent after the 2018-19 NBA season. We’re a long way off from knowing how this scenario plays out, but I couldn’t blame any of those guys if they wanted to leave an organization that intentionally subjected their players to a situation like this as soon as they had the chance. It would be somewhat unprecedented if all of the Sixers young players walked away and signed elsewhere, but then again, this entire situation is unprecedented.